The Cessna Caravan is capable of performing life-critical missions in remote locations, flying in adverse environments and operating on unimproved airstrips. Its high-wing design allows for a stable platform to provide in-flight critical care. From basic non-critical transport to neonatal care, the Caravan can provide the right response. Adding floats to your Cessna Caravan brings new meaning to the word versatility. Amphibious and dedicated sea plane floats open up a whole new range of possibilities and give you access to areas where an airstrip just isn’t an option. The Cessna® Caravan® is the ideal aircraft for parachute operations with the ability to operate out of rural airports and carry up to 15 jumpers with bench style seating. The available roll up cabin door opens easily in-flight and creates an obstruction free opening for jumping. For commercial and military operations alike, the Caravan excels. 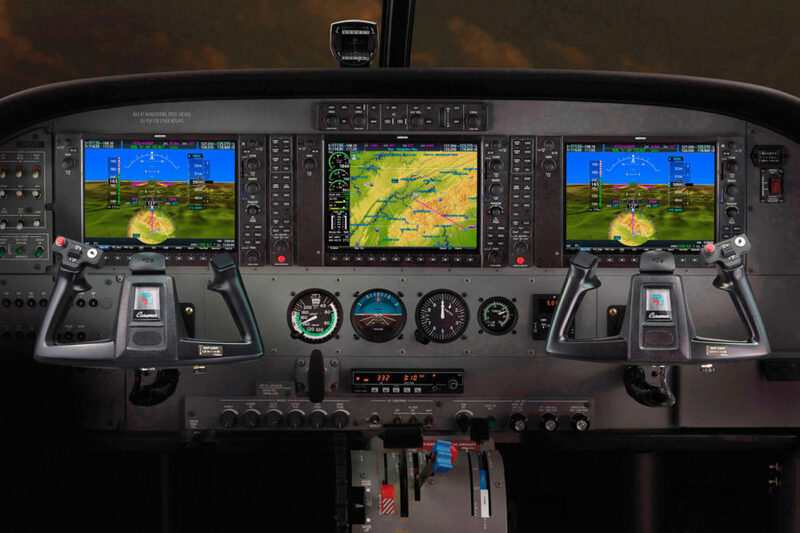 The Cessna® Caravan® influenced an entire category of utility turboprop aircraft. Its customizable cabin allows for optimized loading and freedom to switch between passenger and cargo transport. The Caravan was engineered for challenging missions, high payloads and short, rough runways while delivering single-engine economy and simplicity.